I just picked up a vintage bike. It has the word criterium on the down tube. I tried searching the forum and I come up with a buch of threads refering to all kinds of brands. Mine says Araya . Araya criterium brings up nothing. 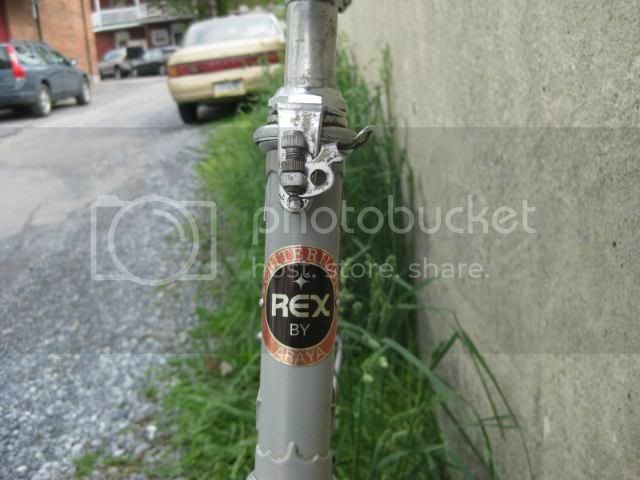 I didnt even know Araya made bikes. 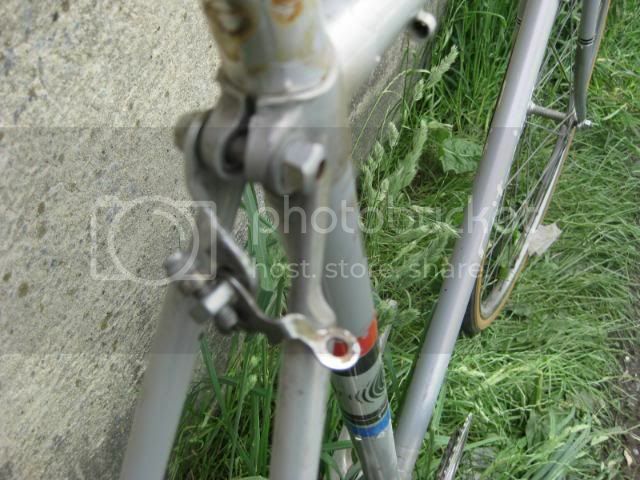 Bottom Bracket may be a little higher than on a similar road frame from the same builder. Steering a little twitchier, too. That might be the case for an American custom frame built for US criterium racing. But most bikes that would actually be named "Criterium" would most likely be using the word in the European sense of one day races which do not really share any of the attributes of the "city block" hairball US races. Like a Masi Gran Critemium would be the furthest thing geometry wise from a "crit" bike. Masi Gran Criteruims while today are "road bikes" at the time they were introduced in 1970 for series production, 72° parallel angles were frequent. 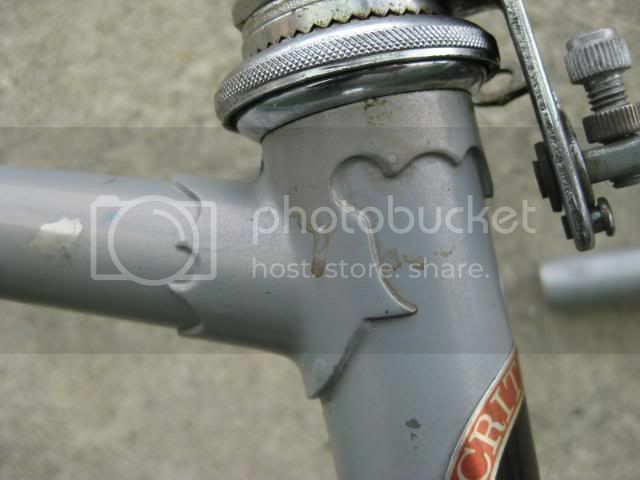 The "GC" had a slightly higher bottom bracket than its predecessor, by like 3mm at most and was most often 73° parallel, except for the short people, they got less than they deserved. Also had a slightly shorter rear triangle, not much, but some. The clearances were less too. All in all minor adjustments, but even back then there was marketing too. Besides, Colnago had Super. 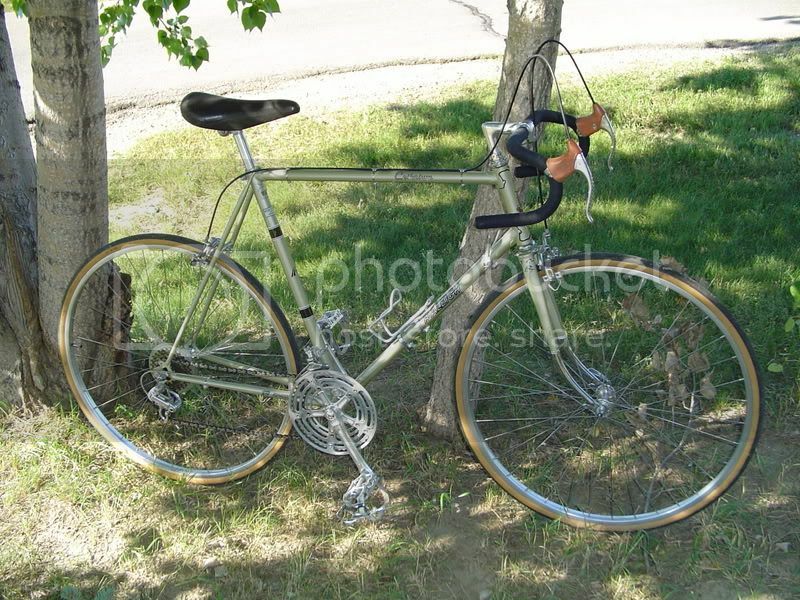 In England or the USA a criterium bike evolved to a 74° head angle, high bottom bracket machine, as high as a track bike even, or higher, my criterium bike had a 3mm higher bottom bracket than my track bike. 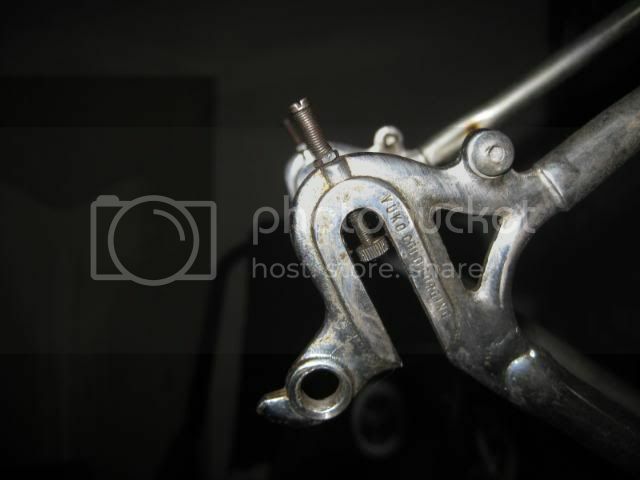 At the time useful, the most common racing pedal was the Campagnolo in varuius trims, but with the same basic geometry, in a criteruim in the 70's to have a road bike height bottom bracket placed the racer at a definite disadvantage, that's why I had two bikes. I knew when I pedaled through the final corner and a competitor attempted to I could hear the scrape of a pedal and Sprint to Victory. Today it is less of a concern, the majority of the pedal systems out today provide good cornering allowance with a 70 to 75mm drop bottom bracket. Also I am older and the fear of asphalt is greater. ok so criterium is a class of racing? I will get photos up monday. the frame material is Araya 631. Looking at the scratches it looks like a chromed frame under . My crank remover wont work on this. The crank has an S in a crown. All this talk about Criteriums had me go measure my 82' Raleigh Criterium and my son's Raleigh Grand prix which seem to share the same frame. Sure enough the Criterium BB is at least 8mm higher than the Grand prix. Both frames are otherwise identical. Anyone else notice this? As for naming bikes, criterium is used quite indiscreetly. Criterium racing is done on a short closed course, usually in an urban district. In Europe it's done as a kind of weekday sideshow, often during evenings, to keep the fans interested in the sponsors and teams until the next big race, while in the US it tends to be an end to itself. Yeah. 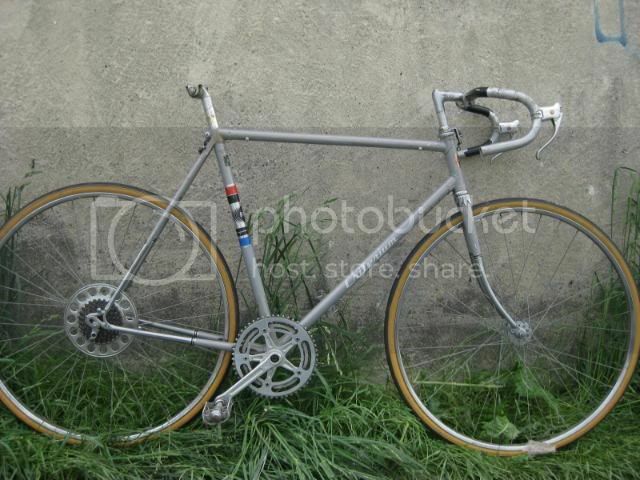 What tolfan posted is a Criterium in name only bicycle. 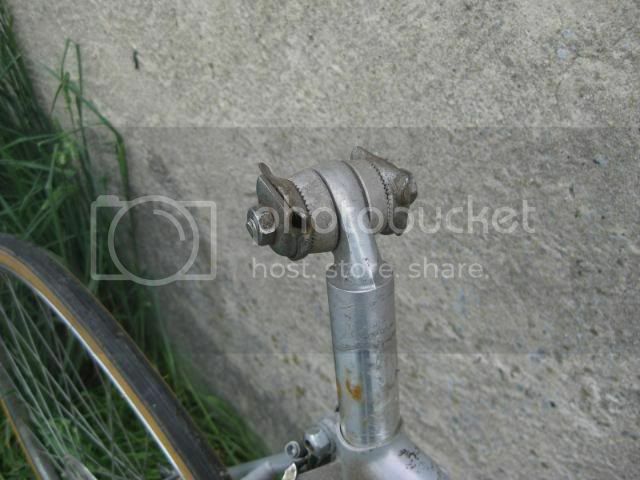 fwiw - That right rear dropout looks a bit sketchily brazed at the top end. I didnt think it looked like anything special. It had good tires holding air. Forged dropouts. Chrome frame. Its the right size for me. Components were kinda nothing . All in all $20 , why not. Bikes: 200x Coppi w DuraAce 9, 82 Schwinn Voyager 11.2, 2004 DeBernardi Track, 83 Centurion Elite RS, and some others. In the US, it means danger-crash ahead. Say no more. For $20.00 - and it's a bit large for me. Criterium means you pay your money and ride in a pack, much like Talledega, waiting for "the big one." If you're stocky and have strong arms, the skinny guys pretty much give you room. It's like the gong show if you can't keep up. It's like roller derby if you can. If you're near the back of the pack, and you can corner well, the other guys will copy your line. If you're at the front of the pack, and you can corner well, the other guys will copy your line. Evolution will eventually take hold, and you'll find the other riders who drink. I'm trying to organize one on a figure-eight track. Now THAT would be fun. Found a bike with no tires, what should I use?